As our wars escape our attention, it is more important now than it has been in years to name them and to mark their costs. And those costs are most readily recognized when they are scaled back and made particular, as they are in The Explosive Expert’s Wife. In these poems, terror rises out of the everyday: “Lights dimmed, the floor // fills as the music turns soft as a woman / paid for, then passed from man to man.” And yet, crucially, the everyday remains the everyday. Shara Lessley’s great gift is her ability to make experiences that would likely seem alien to most people familiar without suppressing those qualities that made them seem alien in the first place. This is a remarkable book that must be read. 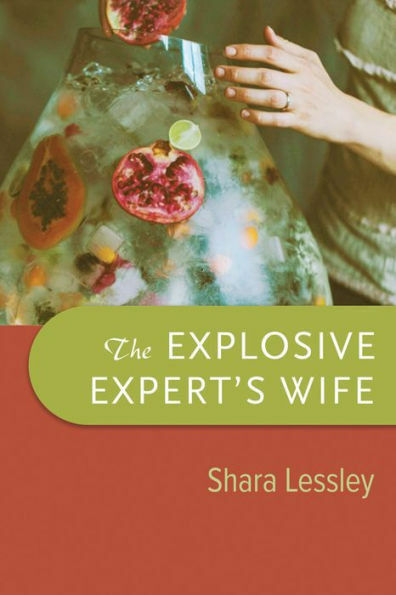 In her scintillating The Explosive Expert’s Wife, Shara Lessley calls to mind Elizabeth Bishop’s Questions of Travel as she guides us along the knife-edge of her watching, living in another country on the edge of wars. An ex-pat Penelope wondering about her own Odysseus singed in ash, Lessley keenly, sensuously, and empathically witnesses both to her own vulnerability as an American woman and young mother living in Jordan, and to the courageous women around her: from an all-woman Jordanian de-mining team to an accused terrorist’s wife. Shara Lessley’s gift is to teach us that there is astonishment, not just fear, in each moment of displacement. Once I started this book, I wasn’t be able to stop mid-page, I was hooked on its music of adventure, the intimacy of detail, the great sweeping largesse of address across continents, across ranges of emotion. Different readers will find different things to love here: some will be smitten by the gorgeous, deeply felt love poems. Others will be stunned by a “bird delivering light’s dull / splinter.” Yet others will be moved by the portrayal of a man who, accused of war crimes, requests a bowl of strawberries. Wherever you find yourself in this powerful collection, you will always learn to see the world slightly differently. It is because “the wind doesn’t choose / what it moves.” And God pens “his book / on the crow’s black belly / as he moves it.” It is because Shara Lessley’s poetry is deeply compelling.